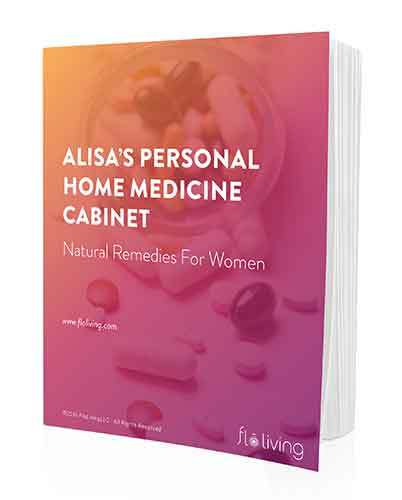 There is one common hormonal imbalance I see again and again in my Flo Living practice. Women come in with the symptoms, signs, and health conditions that are rooted in a specific instability in their hormonal ecosystem. These signs include common symptoms like PMS, hormonal acne, ovarian cysts, fibroids as well as conditions like PCOS and Endometriosis. That hormonal imbalance is estrogen dominance. Estrogen dominance is the root cause of so many hormonal health issues. If you’re a longtime reader of this blog you will have heard me use the term “estrogen dominance” many times. 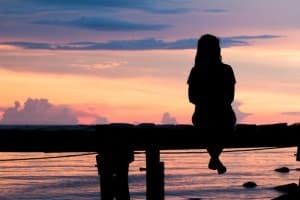 I want to dig a little deeper in this post into what estrogen dominance means, how you can know if you have estrogen dominance, and what you can do to address the imbalance and get your hormones working in harmony. Estrogen dominance happens in the body when there is estrogen overload or too much estrogen in relation to progesterone. This happens as the result of the foods we eat, the products we use, stress, poor sleep, and other environmental factors. It can be very hard to completely avoid estrogen excess, because we are surrounded by endocrine disruptors – in everything from our furniture to our nail polish. When your body’s elimination system is working at a subpar level – the result of a lack of micronutrients, a disrupted microbiome, and inability to deal with an unnatural level of toxins – it cannot process and eliminate this excess estrogen efficiently. A body nourished with nutrient dense and hormonally-supportive foods has a better chance of coping with and managing the synthetic estrogens we’re surrounded by, but many of us are not eating in a way that supports and bolsters our elimination system. This leads to a toxic build up and hormonal soup swimming around your body – throwing your delicate hormonal balance out of whack and triggering symptoms. The reason you have not heard about this from your doctor and she has probably never diagnosed you with “estrogen dominance,” despite your symptoms, is that there’s really only one treatment provided by an OB/GYN for all of the health issues I mentioned above and that’s the birth control pill. When you visit an OB/GYN they tend to only be able to tell you what you already know – that you have certain symptoms and you don’t feel good as a result. They don’t often tell you exactly why you’re experiencing these symptoms. And the how to deal with the symptoms is always the birth control pill. Of course, the path to you getting better begins with understanding why this is happening in your body. Even if you now know (or you’ve long known) that you have estrogen dominance, the most helpful part of naming the problem is knowing that you now need to take immediate action to address the root causes. Addressing the root causes is the key to moving past symptoms and feeling better. And the birth control pill does not address the root causes. It is only a band-aid for those symptoms – it may help to stop some symptoms or manage them some of the time, but when you eventually come off it will leave you even more sensitive to excess estrogen, setting you up to experience the same problems and potentially at worsened levels. Eat more fiber – there are 3 foods that contain a good amount of fiber as well as the other vital vitamins and minerals – such as glutathione, B vitamins, and C vitamins – that you need to help your liver process the excess estrogen so that it can be transported to the large intestine and then eliminated quickly – broccoli, flax seeds and pears. Support your microbiome – a set of good gut bacteria and certain bacterial genes, called the estrobolome, produce an essential enzyme that helps metabolize estrogen. Your microbiome is part of the elimination system that is vital in ushering hormones out of the body. Eat fermented foods daily like kimchi and sauerkraut and take a probiotic. Love your liver – Eggs, Glutathione-heavy vegetables like carrots, spinach and asparagus, plus cilantro are all great liver detoxifiers and boost the whole elimination system’s function. Try my special cilantro-based juice once a week. First, do you have symptoms of estrogen dominance? Second, have you used the birth control pill to control the symptoms? Thank you for this post! I have many symptoms of estrogen dominance but the one thing that confuses me is that I do not have heavy periods at all, they are actually very light. They are slightly irregular though, sometimes a 26 day cycle, sometimes 28. Could I have estrogen dominance even with a light period? Wondering the same thing for myself! Loved this post. It is informative. Thank you. I have read a lot about estrogen dominance but I had a hormone saliva test done and I have high testosterone and normal estrogen and progest. I can’t seem to find a lot of info on what I can do to lower testosterone. I have great periods. The only symptom I have is bad acne. Any suggestions for where I can start? The Womencode protocol would be a great place to support your hormones and balancing things, and Saw Palmetto can lower testosterone. Please remember that supplement in the wrong food/lifestyle environment will have only so much success! I am 49 yrs old and was just diagnosed with osteopenia due to low testosterone. I took birth control for 16 years, so that may have what lead to low testosterone. The other side effects of low testosterone are: little to no libido, muscle wasting and bone degeneration. My estrogen and progesterone levels are normal. I’m wondering if you can comment on adrenal fatigue which also leads to hormone imbalance. My doctor has me taking 1 g Testosterone in a cream form made by a compounding pharmacy. I hope this is the right approach, but I have been very angry since starting the testosterone. I do eat very conciously and supplement for everything that might assist my adrenals. I have alot of stress and am losing my ability to cope. Any information you can give is greatly appreciated. Thank you! I know this is old but it may be helpful. I just went to my 80 year old amazing Naturopath who told me to take 1 Ginseng capsule 3 x per day with my meals to strengthen my adrenals. American or Korean Ginseng. He finds everything out by doing Applied Kinesiology- an in depth type of muscle testing. I was also on Testoterone and the dose was waaaay too much for my body. Hope you’ve found the proper dosage to help you. Are fibrocystic breasts also a symptom of estrogen dominance? I know this is an old post but I would like to know about the flax contibuting to estrogen dominance as well. Would love to hear from you—-thank you! !